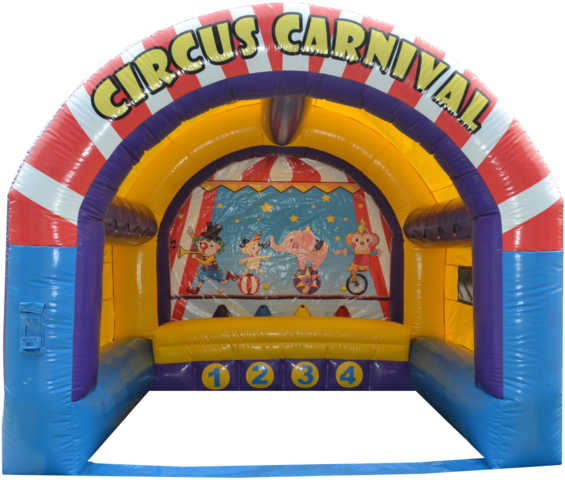 The Circus Carnival Game is a beautiful inflatable from the creator of the floating ball game. This interactive game will test your throwing abilities. Whether you're a kid or just one at heart, you'll have a blast with the Circus Carnival! Great for summer barbecue parties to birthday celebrations and graduations. Our circus carnival game comes with an assortment of 12 (5" to 6") plush animals to be given as a prize. Please note that the picture shown is just for reference, the plush design may change as is an ASSORTMENT, and depends on availability.